Chris Townsend Outdoors: The June issue of The Great Outdoors is out now. 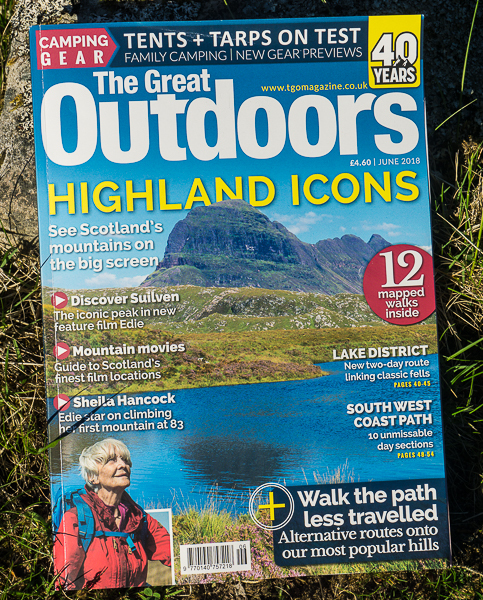 The latest issue of The Great Outdoors features Suilven and the new film Edie. Emily Rodway met up with star Sheila Hancock and director Simon Hunter to talk to them about the film, a fascinating piece. I haven't seen Edie yet - I'm looking forward to it. It sounds great and it does have Suilven, which always looks fantastic. I've written a piece about the mountain too. In a section called Camping Gear I review seventeen solo tents, tarps and bivi bags while Emily Rodway covers lightweight family camping, with some delightful pictures of her children, and Daniel Neilson looks at some of the latest camping equipment. The rest of the magazine is packed with good stuff. The opening spread is a tremendous photo of the sunrise from Glyder Fach by Grant Hyatt. 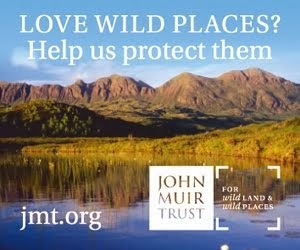 Ian R. Mitchell looks at the worrying threats to the USA's wild lands from the Trump administration in a powerful piece. Jim Perrin pays tribute to Croagh Patrick in Ireland. Vivienne Crow takes a two-day walk over six prominent Lakeland cols. Fiona Baltrop celebrates 40 years of the South West Coast Path. James Urquhart backpacks through The Tarrens in southern Snowdonia. 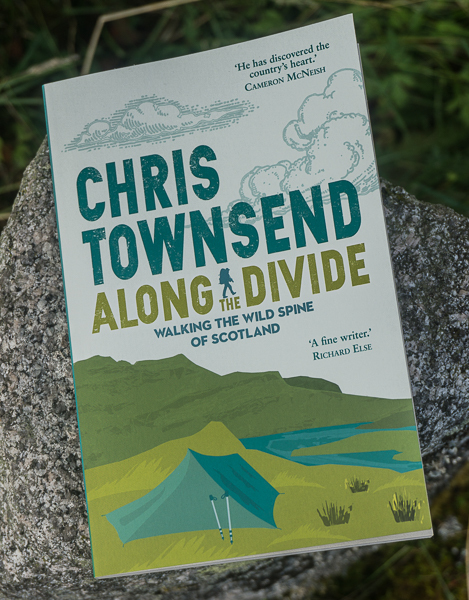 Alex Roddie undertakes a 100-mile walk through Ardgour and Mull. 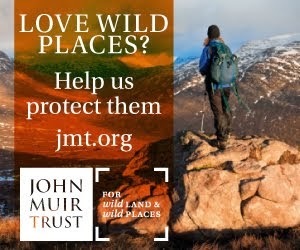 Roger Smith looks at the threat to Wildlife Trust nature reserves from government planning proposals. David Lintern reviews Kinder Scout: The People's Mountain by Ed Douglas and John Beatty. Roger Smith reviews The Lynx and Us by David Hetherington. Jim Perrin celebrates the 1932 Kinder Scout Mass Trespass.